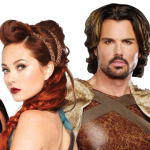 We’ve already talked about the best Halloween costumes for adults this year. This time, here’s a list that singles out the guys. If you’re looking for a surefire way to win a Halloween costume contest, or just impress your friends at the costume party, then these costume ideas are the way to go. They’re the most popular Halloween costumes for men in 2015. Use the slideshow below to explore the list! Tony Stark built his first suit of Iron Man armor while held as a prisoner of war – his captors believed it was a superweapon for their use, but Stark used it to escape instead. Realizing the power of his creation, he became Iron Man to serve humanity and the forces of good. 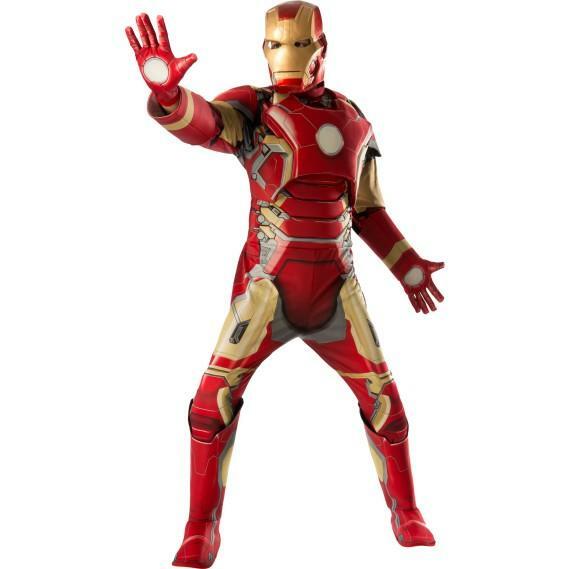 Learn more about Iron Man and Iron Man costumes here. Jurassic World is huge – it’s already made more than $1.5 billion (with a B). It’s also responsible for one of the most popular viral videos of the year, too: this clip of an inflatable T-Rex who’s having some issues. 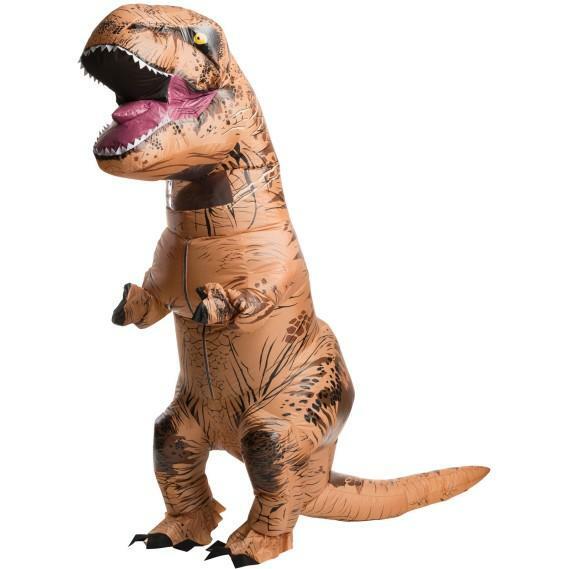 We love the inflatable T-Rex costume because it turns the terrifying T-Rex into the funniest Halloween costume ever. It’s been more than seven years since the late Heath Ledger turned in his masterful performance in The Dark Knight, but it’s still one of our favorites. 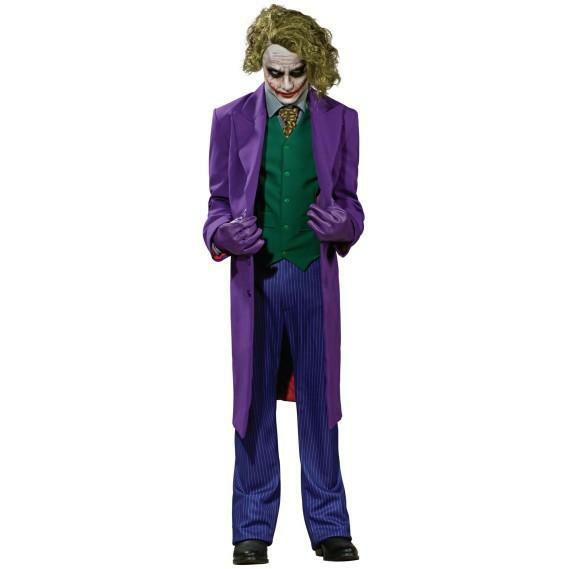 We’re sure that Jared Leto’s Joker look from 2016’s Suicide Squad will see a surge in popularity next year, but for now, Ledger’s Joker is still the clown prince of costumes. 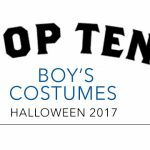 We mentioned Baymax in our our overall adult costumes list, too. 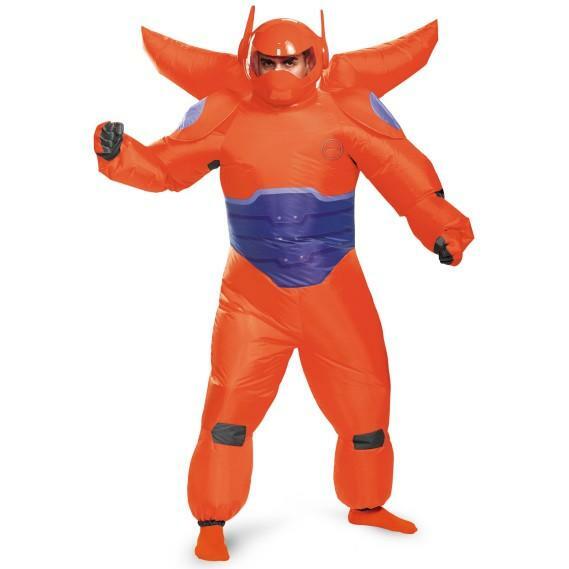 Just like the T-Rex, this costume stays inflated with a small, battery-powered, built-in fan. 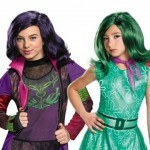 This costume is perfect for those looking for a funny costume. Plus, everybody will want to pose for photos and give you a hug. 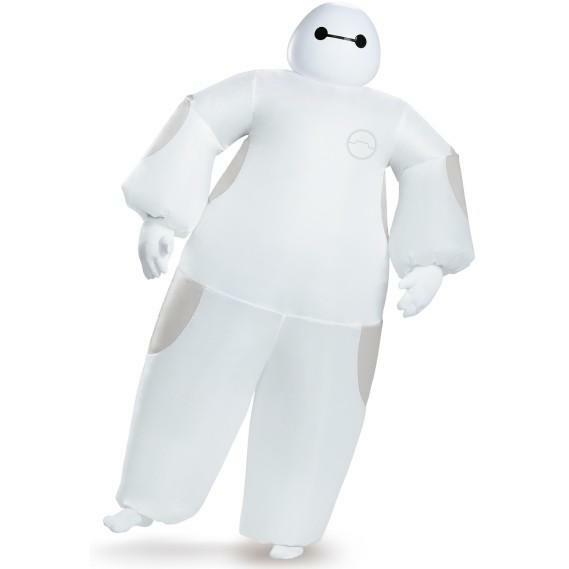 We also had to include the armored version of Baymax from Big Hero 6 – that red suit is just too cool. Created by Hiro to give his friend a little bit more firepower, Baymax’s suit of exoskeleton armor is packed with different weapons and gadgets, and it can even fly. 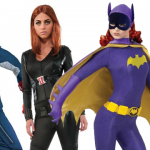 From Disney’s Big Hero 6, which is family-friendly, to Marvel’s Deadpool, which is… very, very not. The Merc with a Mouth has had his feature film in the works for years, and it’s finally happening. 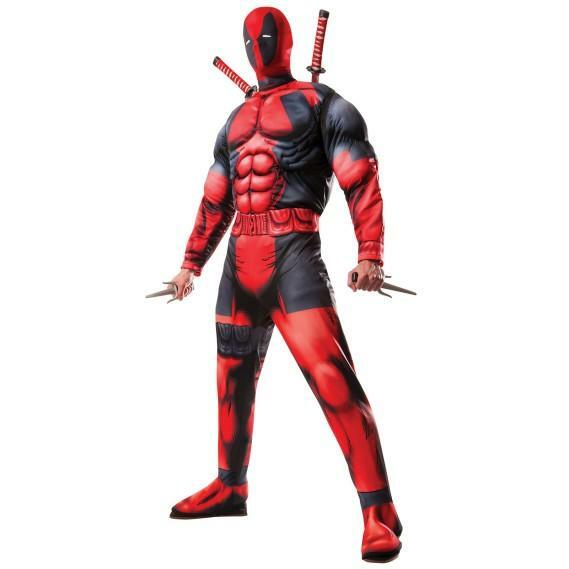 It won’t be out till 2016, but the trailer starring Ryan Reynolds went so viral that Deadpool is a top Halloween costume for this year. Star Wars Episode VII: The Force Awakens is almost here, featuring a brand new cast of characters, but you can bet that Stormtroopers will be featured, too. 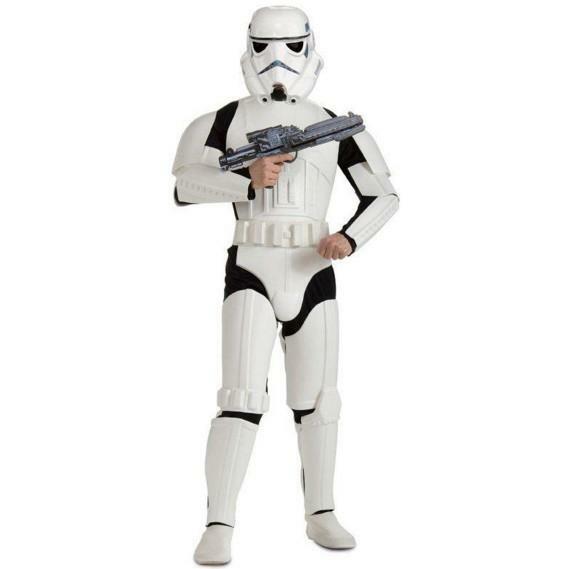 Whether you’re a new fan, or you’ve been one since the beginning, Stormtroopers are always a great costume choice. Of course, as long as we’re talking about classic Star Wars characters, we have to mention Darth Vader. 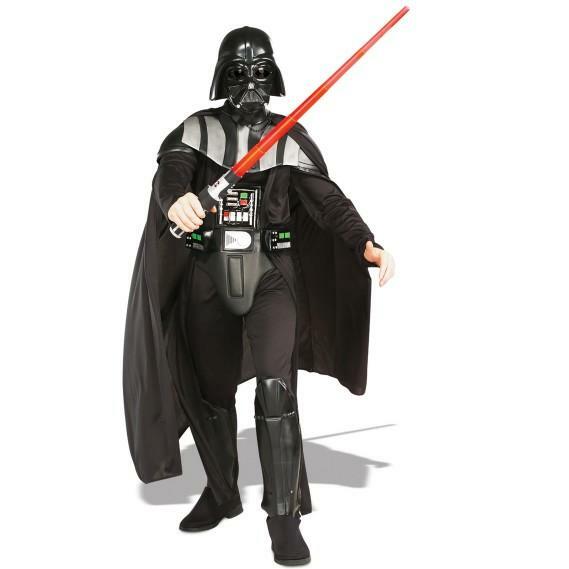 The new Stars Wars movie will be featuring villains like Kylo Ren and Captain Phasma of the First Order, but Darth Vader will always be an awesome Halloween costume idea. 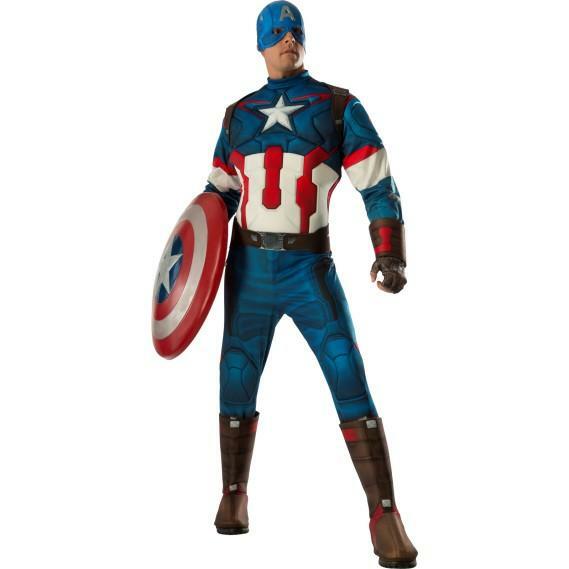 Captain America has been a part of the Marvel Universe since the ’40s, but being in the Avengers movies has made him ultra-trendy again. Plus, once Captain America: Civil War comes out, there’s no doubt in our minds that Captain America will be the most popular superhero around, period. …But until then, Batman is our number one pick. 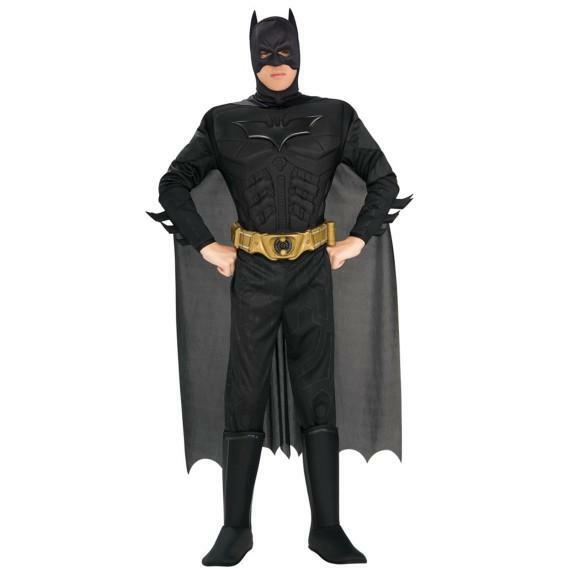 Whether you’re a fan of Christian Bale’s portrayal in The Dark Knight Trilogy, Adam West in the 1960s TV series, or even the Batman: Arkham video games, you can get the perfect Batman costume look for Halloween this year. This one is do special to me. I love this.